Bridge House and Marian Court is one of Hackney's biggest regeneration projects, involving the full redevelopment of the estate to replace properties that didn't meet modern standards with hundreds of high quality new council homes. It will also help to transform Homerton High Street. The original Bridge House and Marian Court contained 135 homes that didn't make the best use of the land available and which surveys had found to be uneconomical to refurbish. The decision to redevelop these has provided the opportunity to build high quality new council homes that better suit the housing need in area and make the most of underused land on the estate to create additional new homes for social rent, shared ownership, with new homes for outright sale to help pay for them. These replace the original 135 homes on the estate, of which 85 were social rent and the remainder owned by leaseholders. The social rent homes will be allocated directly to families already living on the estates, with the remainder going to those on the housing waiting list. The shared ownership homes will be sold by the our in-house sales team, Hackney Sales, in accordance with our sales and marketing principles. These are priortised for people living and working in Hackney who are unable to afford to buy a home outright but are unlikely to be prioritised for social housing. As well as new homes, the changes will mean better public spaces, new walking and cycle routes and tree planting. There will also be new spaces for commercial and community use in the new units along Homerton High Street. The designs for Bridge House were led by Hawkins Brown architects and for Marian Court were led by Adam Khan Architects and muf architecture/art. The Bridge House and Marian Court regeneration is being delivered in 3 phases. The first phase involved building 20 homes for social rent and 20 homes for shared ownership at Brooklime House and Chervil House, replacing former garages, and was completed in 2013. The second phase, including 75 homes at Bridge House, is currently under construction and is due to be completed in 2019. 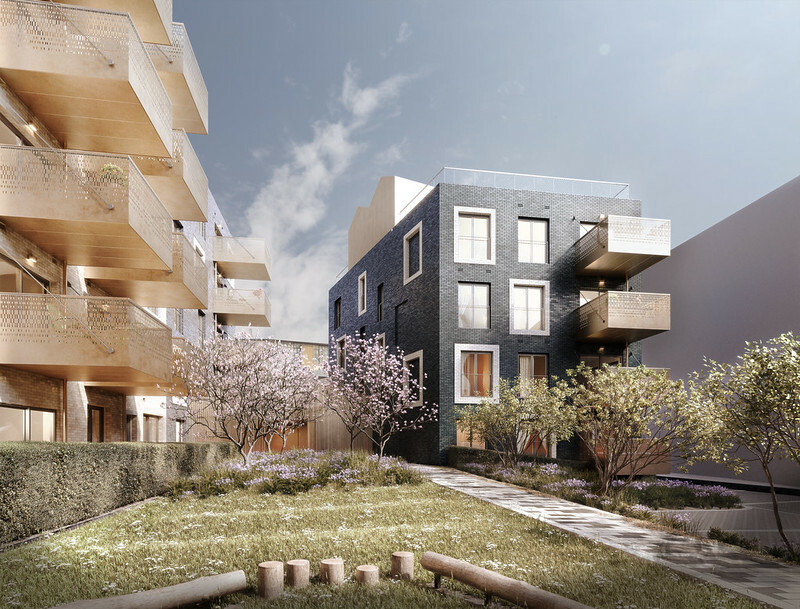 The third phase, including 160 new homes at Marian Court, received planning permission in June 2018 and is scheduled to be completed by 2022.